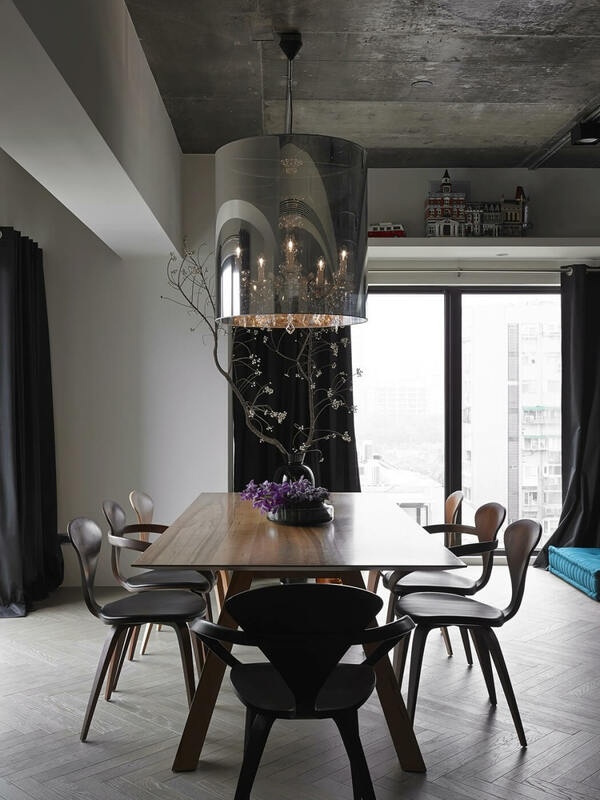 Next up from Ganna Design 甘納設計 again, is a project named “At will” that has won them the TID Award of 2014. 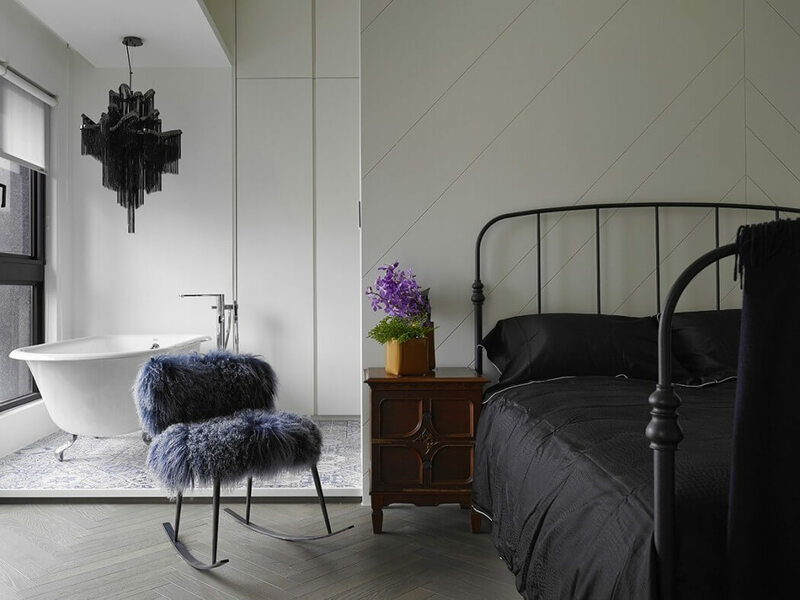 Similar to the Spoonful of Home Design_Project Chorus this apartment does exude the boutique hotel vibe too, but it is unique in its own way. 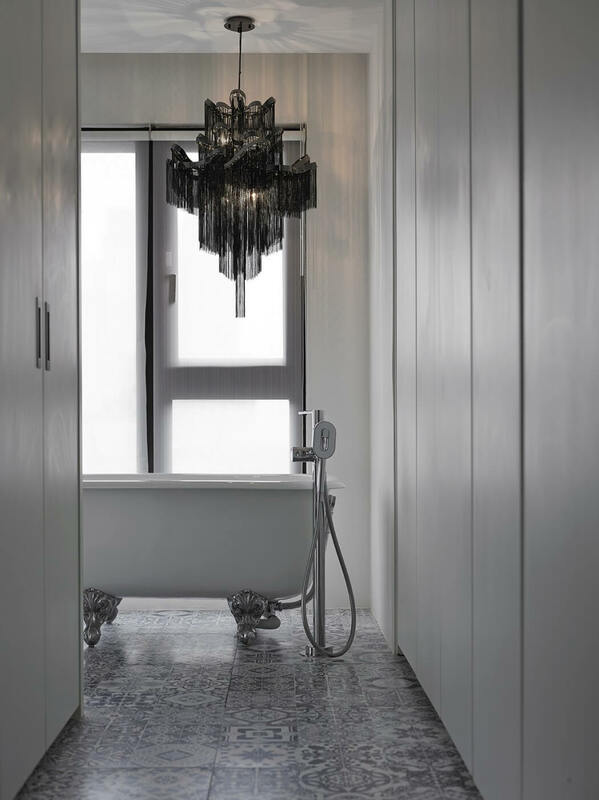 There is a masculine air in the apartment yet it feels glamour and delicate. 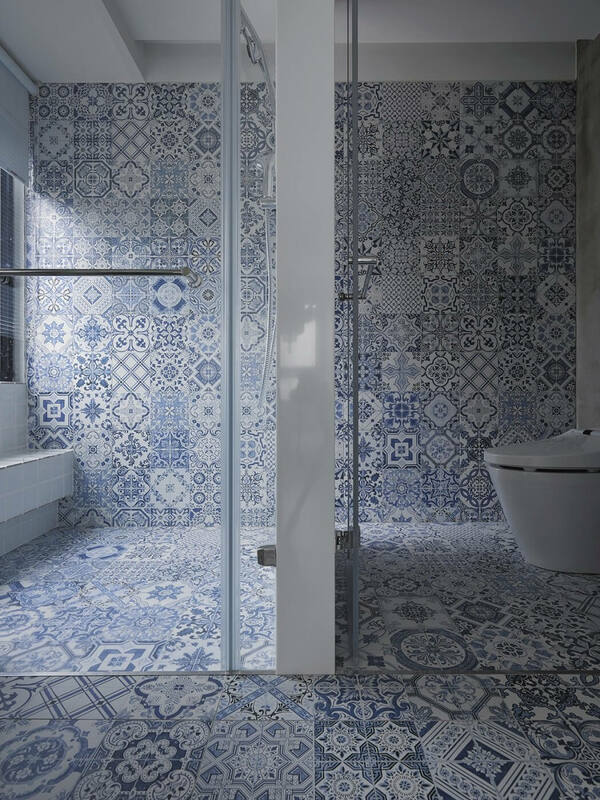 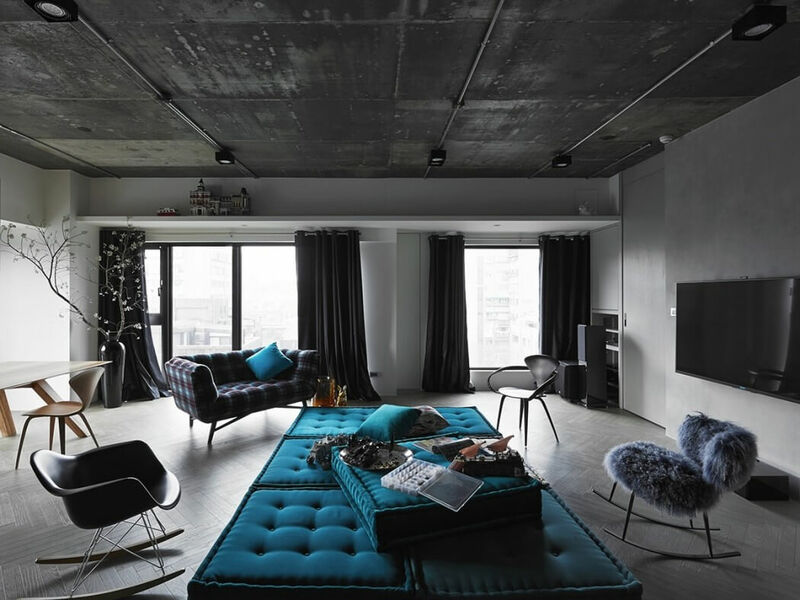 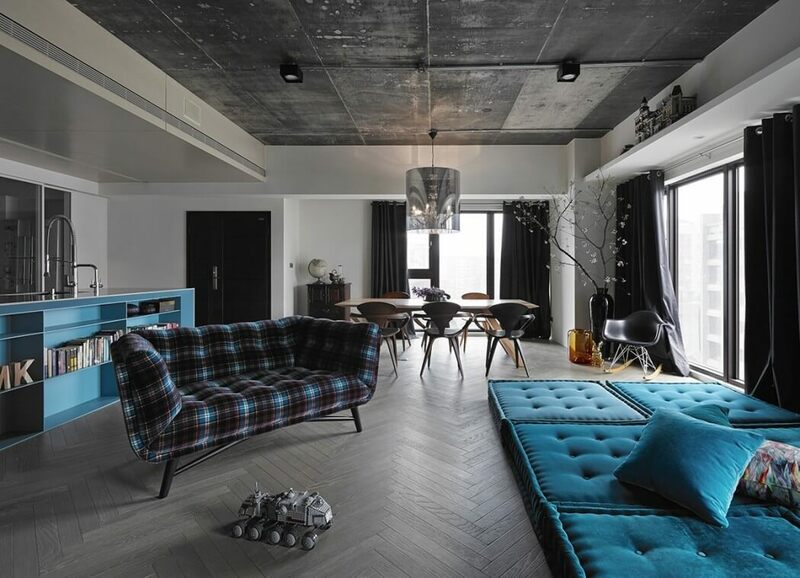 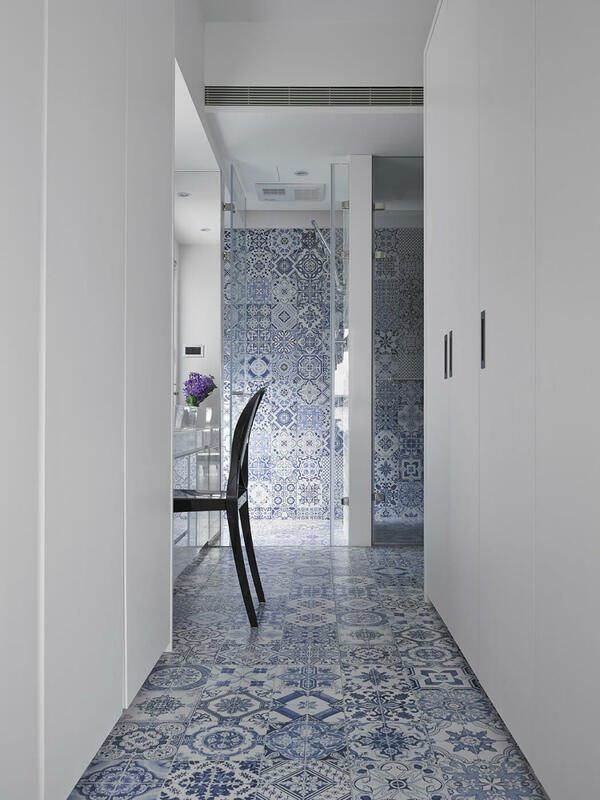 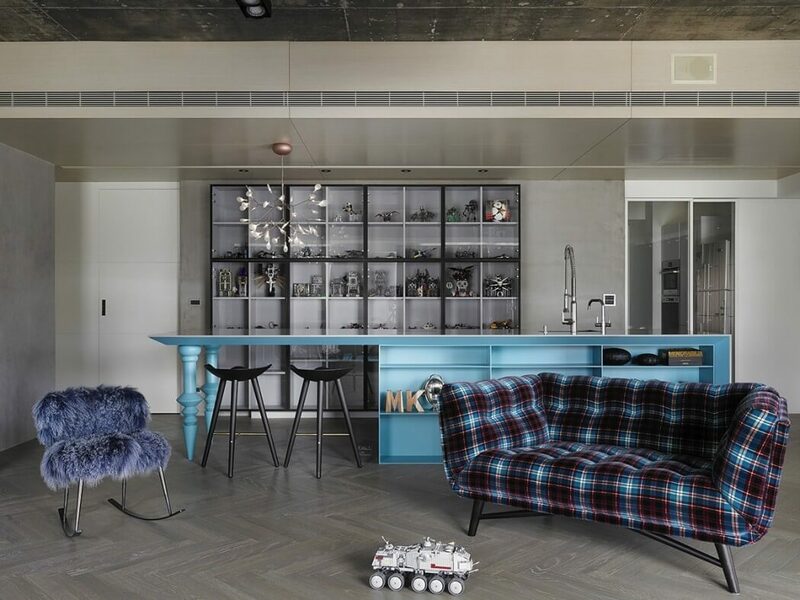 To me, the juxtaposition of different materials used is what making this apartment so strikingly beautiful. 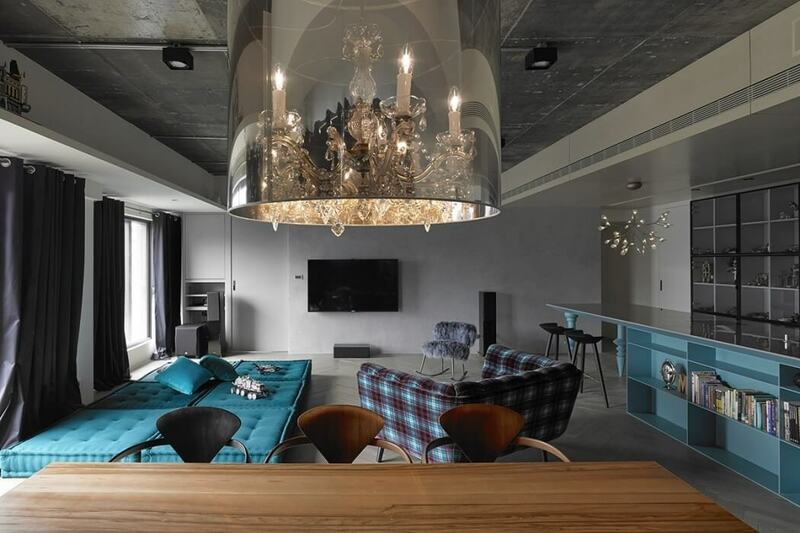 Raw concrete ceiling against perfectly laid-out wood floor in herringbone pattern; dreamy Heracleum lamp above a large kitchen island in aquamarine; floor-to-ceiling patterned tiles in the bathroom and an over-the-top frilly chandelier hanging above a clawfoot bathtub, bold and stunning!